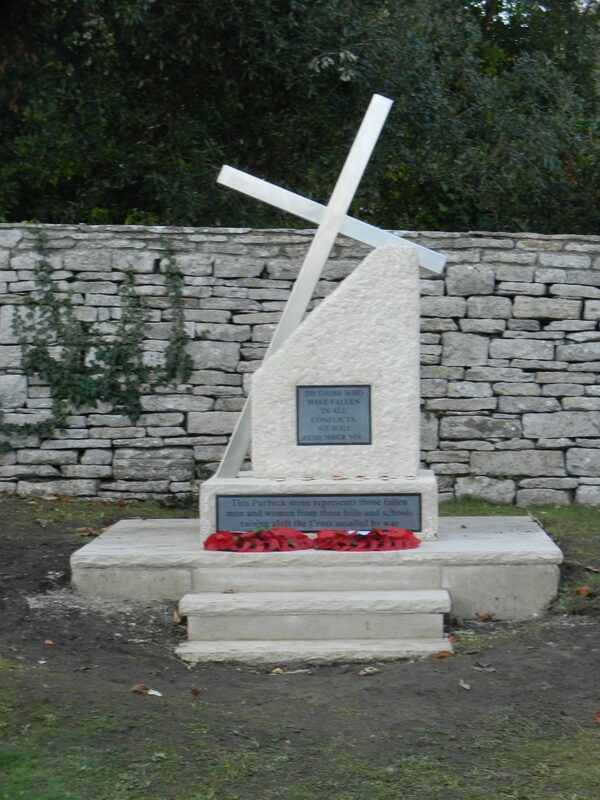 Langton Matravers Parish Council > Latest Parish Council News > Latest News > Langton’s new War Memorial unveiled, 11th November. On a bright sunny afternoon the new War Memorial in St George’s churchyard, masterminded by David Senior and his team, was officially unveiled by the Lord Lieutenant of Dorset, Mr Angus Campbell. The memorial commemorates ‘the fallen in all conflicts’ and was designed by Erin Davidson, a pupil at St George’s School, Wreaths were laid by the British Legion representative, John Corben, and LMPC’s Chairman, William Knight.